Thank you for visiting our Incidents page. Here you will find the most up to date information on a current incident taking place. As we receive new information, we will update the corresponding incident on this page. Adrian Carlos Campos, age 40, was taken into custody on 3/18/19. He was booked into the Maricopa County Sheriff's Office 4th Avenue Jail for Shoplifting and Criminal Trespassing. The investigation continues and additional charges may be forthcoming. Adrian C. Campos is the suspect that fled the scene on the night of March 9, 2019. At 12:14 p.m. today there was a six vehicle four-time fatal collision on Interstate 10 westbound at milepost 232. Minutes before this collision, DPS had put out an ATL (attempt to locate) for a reckless driver eastbound on I-10. It appears this vehicle crossed the median and struck an SUV head on. A semi truck then struck the initial wreck which began a chain reaction collision. UPDATE: 11/16/18, 5:15 p.m.- The deceased driver of the flatbed truck has now been identified as Joshua Robert Garcia, 21 of El Mirage. 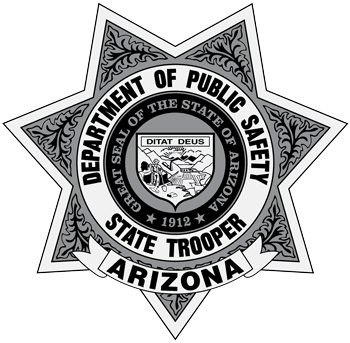 Update: September 21, 2018 at 9:15 a.m.
At 2:23 a.m., troopers found a silver Chevy Impala with a fictitious license plate traveling north along Interstate 17 at Thomas Road. Prior to the vehicle being stopped, troopers observed it traveling with a purple Honda Accord.